8 Channel, 3G/HD/SD-SDI, AES, Analog Audio Monitor. Dolby AC-3. 1RU. The AMP1-D8-MDA monitor is the world’s first 1RU in-rack audio monitor capable of outputting and/or displaying encoded, multi-channel (up to 8 channels) of audio from Dolby D streams decoded from AES and 3G/HD/SD-SDI multi-channel. 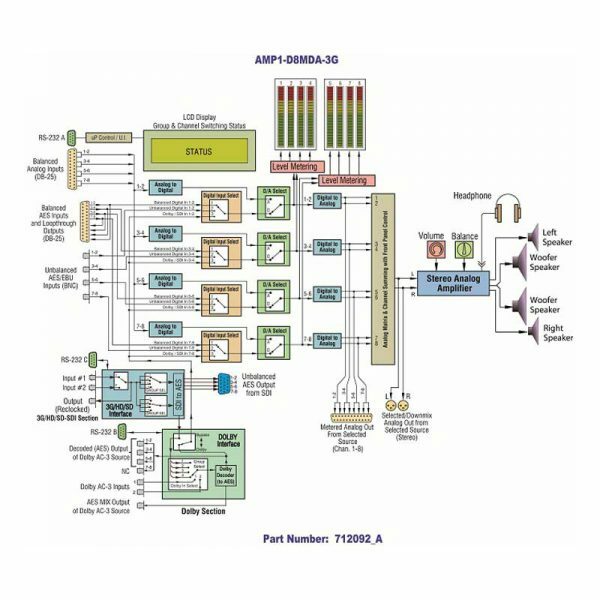 The ability to switch seamlessly between encoded or discrete PCM sources, in addition to providing full, simultaneous demuxed output of the multi-channel source offers a significant new operational capability. 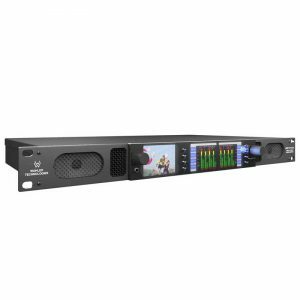 These units are ideal for use in VTR bays, mobile production vehicles, teleconferencing installations, multimedia systems, satellite links, cable TV facilities, and on-air radio studios. Extended HF response reveals potential problems with audio whine or hiss, and electronic rather than acoustic cancellation of bass frequencies provides positive audible detection of reversed polarity audio feeds. The sleek design provides optimally focused sound for operators in an ultra near field environment (1 to 3 feet) with performance comparable to that of many separate monitor pairs without installation hassles and awkward speaker placements. 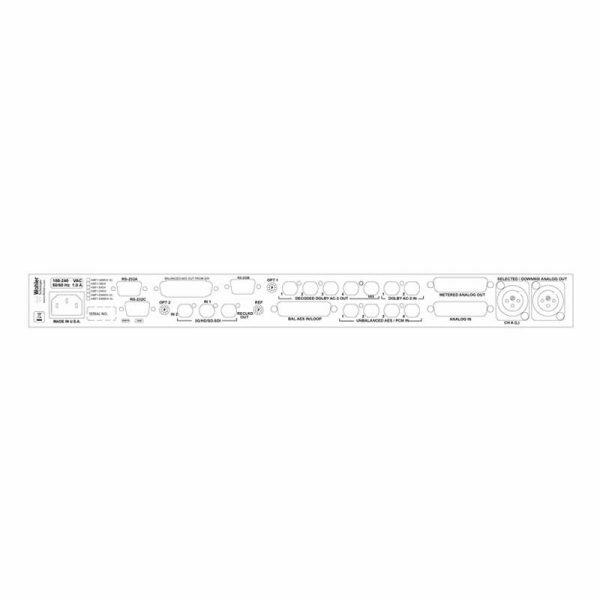 This enables a higher SPL for the operator while reducing overall ambient sound and adjacent bay crosstalk. Power Supply Internal IEC Connector, Universal Input, 100-240VAC, 50/60Hz, CE & UL approved. 8 Channel, Dual Input 3G/HD/SD-SDI Audio Monitor. 1RU. 3G/HD/SD-SDI, AES3, Analog Audio Monitor with 2 Channel Metering. Additional inputs. 1RU. 16 Channel Dual Input, 3G/HD/SD-SDI, Audio w/Video Monitor. 1RU.